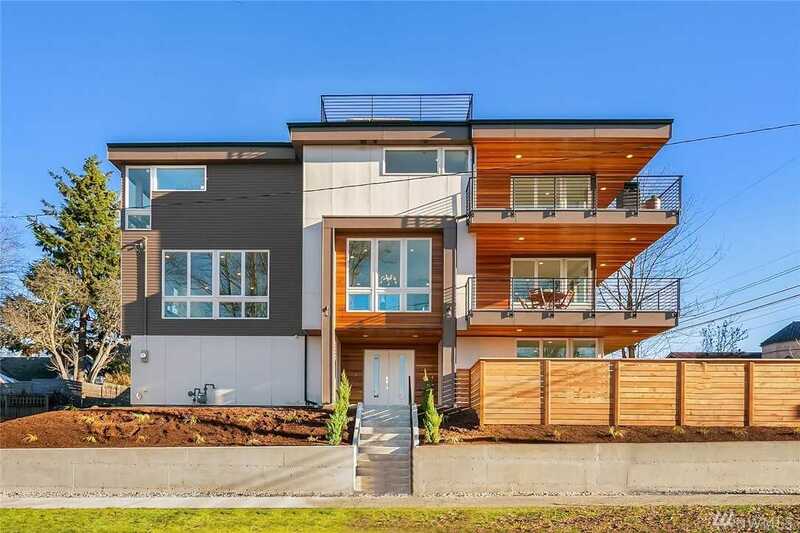 Extravagant new modern construction in prime Phinney/Greenwood location. Gourmet kitchen w/custom cabinets&built-in wine cooler. Delightful living room w/cedar beams&floor to ceiling wood mantel f/p. Grand master bedroom w/3D wall, private deck&5-piece spa-like bath. Two add'l large bedrooms on the top floor w/Jack&Jill bathroom. Fabulous mountain views from the roof top deck w/available gas & elect for entertaining. Bonus living space on lower level w/bedroom, bath & media room. Two-car garage. Lot Size: 0.11 Acres / 4595 Sq. Ft. Directions:Head west on N 85th St, turn south on Greenwood Avenue and turn west on N 80th Street. SchoolsClick map icons below to view information for schools near 102 N 80th St Seattle, WA 98103.